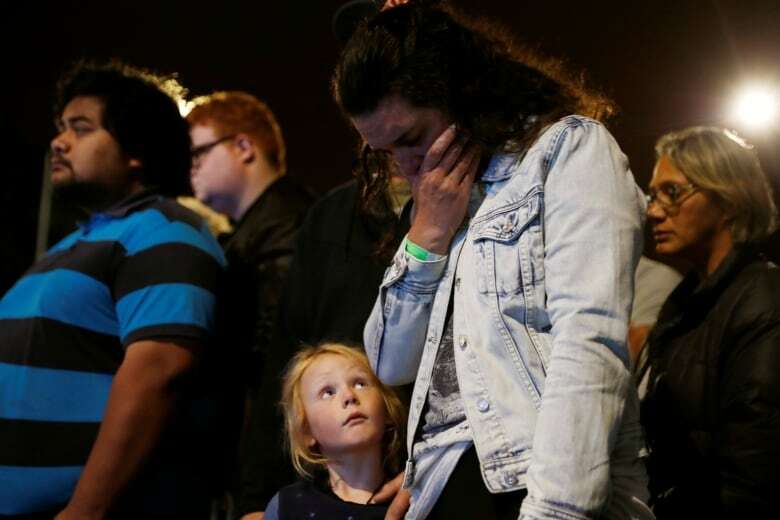 The death toll in the attack on two mosques in the New Zealand city of Christchurch rose to 50 after investigators found another victim as they removed bodies from the crime scenes, the country’s police commissioner said on Sunday local time, as authorities worked to formally identify victims and release their bodies to families. The bodies of the victims had not yet been released to families because investigations were ongoing, but police were working as quickly as they could to do that, Police Commissioner Mike Bush said at a media conference in Wellington. It is customary in Islam to bury the dead within the 24 hours. Bush said the body of the 50th victim was found at the Al-Noor mosque, where more than 40 people died after a gunman entered and shot randomly at people with a semi-automatic rifle with high-capacity magazines, before traveling to a second mosque. “As of last night we were able to take all of the victims from both of those scenes. In doing so we were able to locate a further victim,” he said. Bush said there were also 50 people injured. He also said 36 were being treated in Christchurch Hospital, with two remaining in intensive care, and one child was at a dedicated children’s hospital. At a roadblock outside the Al-Noor mosque, about 40 people were standing in silence near scores of bunches of flowers. Police with gloves and metal detectors combed the street and footpath. Church services for victims of the attack were held around the country, including at Christchurch’s “Cardboard Cathedral,” a temporary structure built after much of the central city was destroyed in a 2011 earthquake. The majority of victims were migrants or refugees from countries such as Pakistan, India, Malaysia, Indonesia, Turkey, Somalia and Afghanistan. Muslims account for just over 1 per cent of New Zealand’s population. Bush said police did not believe that three other people arrested on Friday were involved in the attack. Two men faced charges unrelated or “tangential” to the attack, while a woman had been released, he said. Tarrant did not have a criminal history and was not on any watchlists in New Zealand or Australia. In a manifesto circulating online, Tarrant described himself as “Just a ordinary White man, 28 years old” who used the spoils of cryptocurrency trading to finance extensive travels through Europe from 2016-2018. “I can tell you one thing right now, our gun laws will change,” Ardern told reporters on Saturday, saying a ban on semi-automatic weapons would be considered. There are an estimated 1.5 million firearms in New Zealand, which has a population of only 5 million, but the country has had low levels of gun violence.